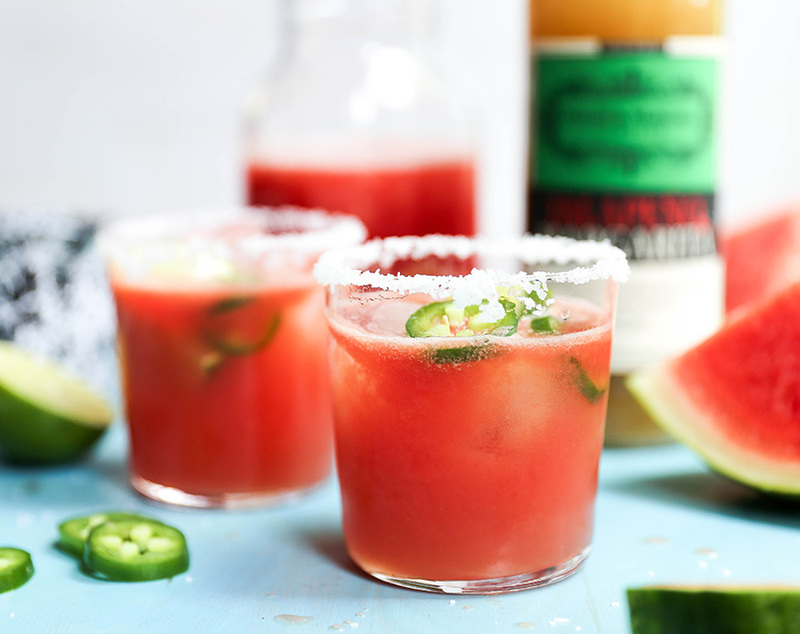 This Spicy Watermelon Basil Margarita is a refreshing cocktail made with fresh watermelon, basil simple syrup, blanco tequila, and P&M Jalapeño Margarita mixer. 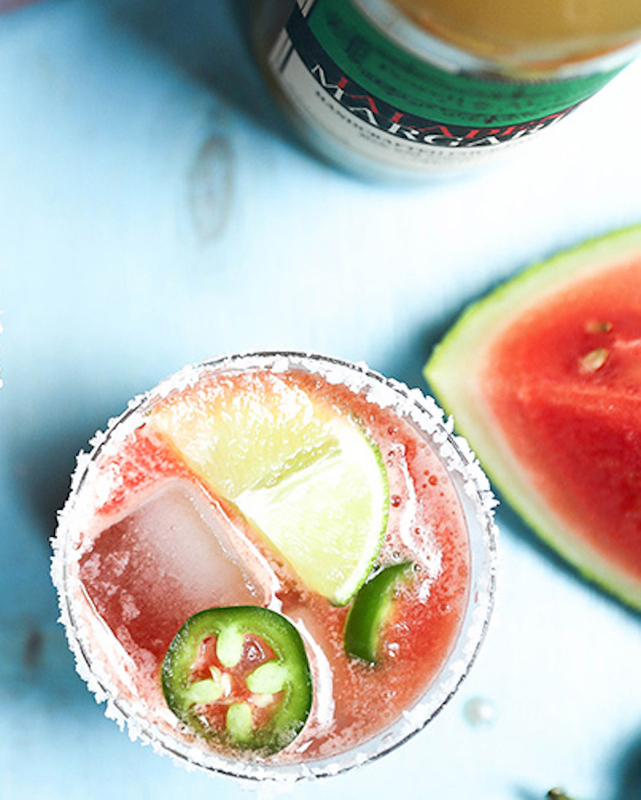 A delicious drink with sweet, spicy, and tangy flavors all in one. Big thanks to our friend Liz from @floatingkitchen for the recipe and photography! 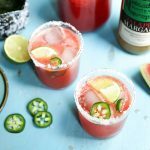 How do we make this watermelon margarita? Well, we start with the basil simple syrup. Add 1/2 a cup of sugar and 1/2 a cup of water to a small saucepan over medium heat and bring to a simmer, stirring occasionally to help dissolve the sugar. Add one packed cup of fresh basil, and cook for 2 minutes. Remove the saucepan from the heat and allow the basil to steep in the liquid while it cools to room temperature. Once cooled, strain the simple syrup into a clean container. Discard the solids. Refrigerate the simple syrup until chilled. Next, we’re going to need some fresh watermelon juice! Add six cups of cubed watermelon to your blender. Blend on high until smooth. Strain through a fine mesh strainer, collecting the juice into a clean bowl. Discard any solids. Refrigerate the watermelon juice until chilled. 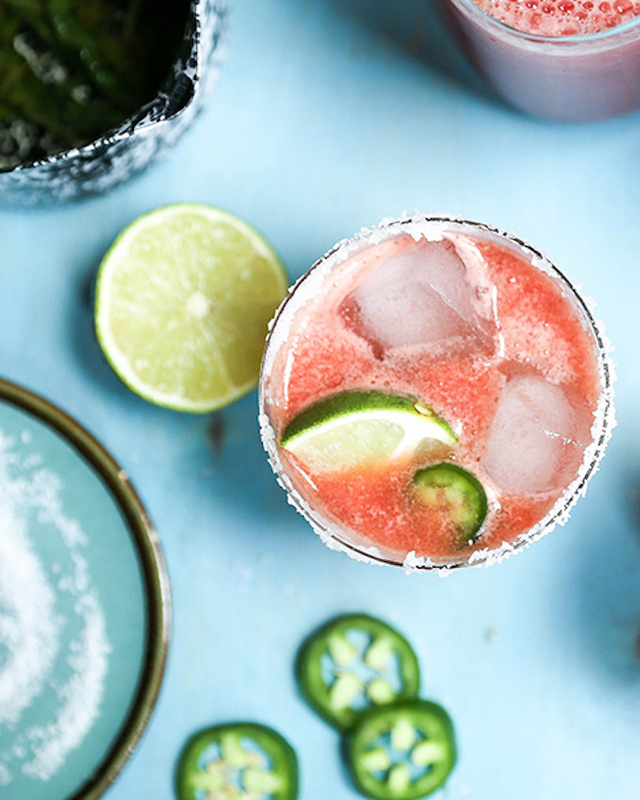 This Spicy Watermelon Basil Margarita is made with fresh watermelon, basil simple syrup, blanco tequila, and P&M Jalapeño Margarita mixer. For instructions on making the basil simple syrup, or how to prepare fresh watermelon juice, read the paragraphs above. 1. Place a small amount of salt on a plate. Moisten the rim of your glass by rubbing it with the lime wedge. Then invert the glass over the salt, pressing down to coat. 2. 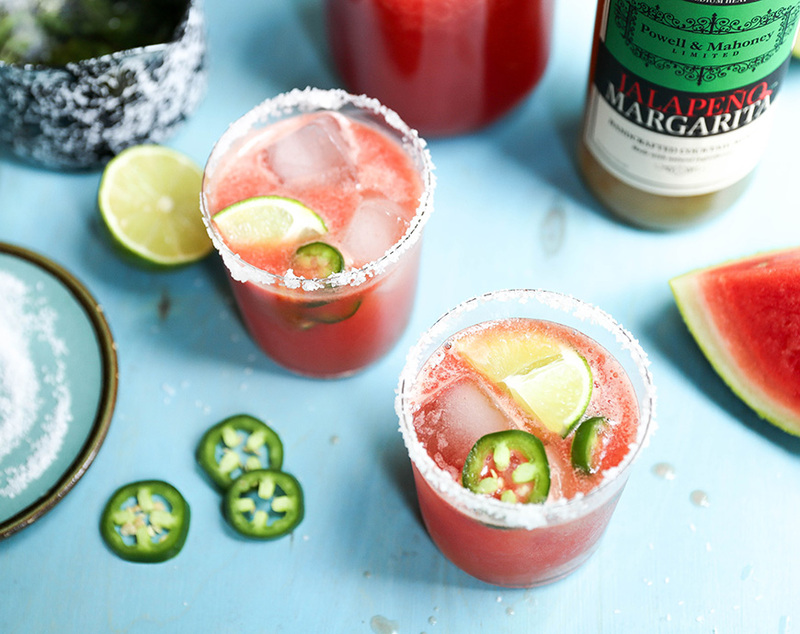 Add fresh ice to the glass, then add the P+M Jalapeño Margarita, watermelon juice, tequila and simple syrup. Stir to combine. 3. Squeeze the juice from the lime wedge into your glass, then add it for garnish along with a few slices of jalapeño pepper, if desired. Enjoy immediately.